Ok, so I don’t go in for elaborate Christmas Decorations. Since I’m going to be out of town for a while, the house was pretty bare. Except for my sister’s christmas cookies, which apparently are mostly for presents for co-workers. Until now. 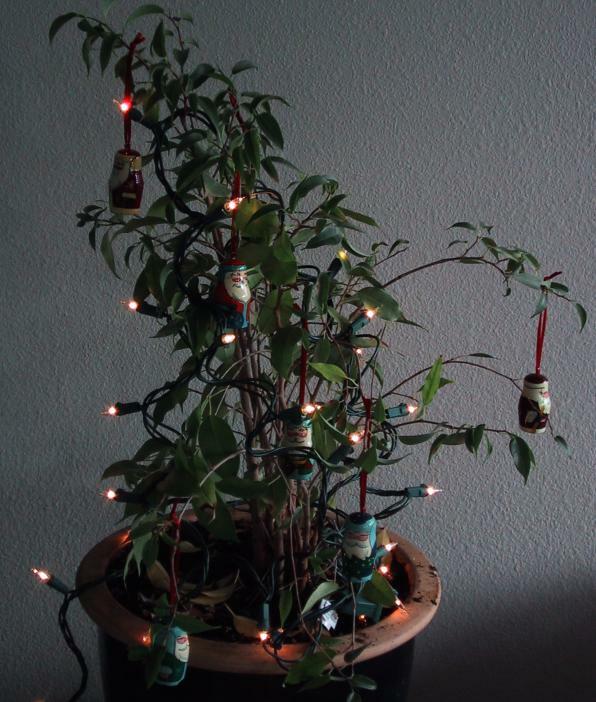 I present the Christmas Ficus. The poor forlorn plant that has suffered in the house for a year now gets abused with decorations. And a the tail end of a 100 light set. I might point out that this is not my fault. Well, except for the part about not getting an evergreen tree to take the abuse. And the lights. I did do the lights. And the picture. And the total lack of other decorations around the house.